On 10th July, Ethereum Classic posted a tweet of appreciation for Grayscale for all the progress it has been making with the ETC ecosystem. Grayscale called out ETC Cooperative for being the back support for all the progress. 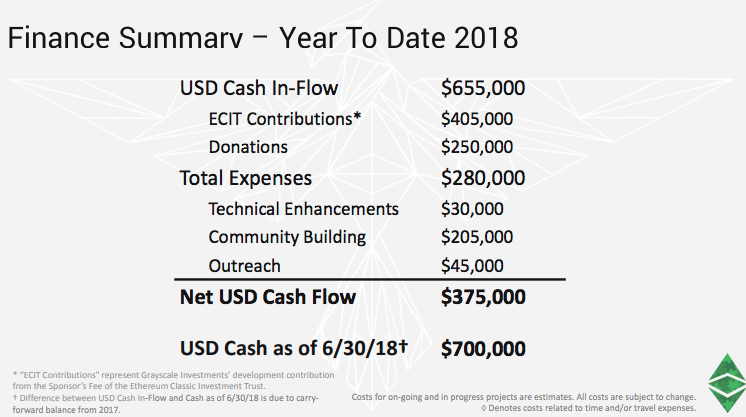 The ETC Cooperative is an organization that has been committed to supporting development, community, and marketing efforts within the Ethereum Classic ecosystem. They work by extracting any issues and obstacles faced by ETC’s current as well as future users. Whether it is keeping the tools updated, or there is a lack of information, or the value of ETC is not made aware, ETC Cooperative works on it. 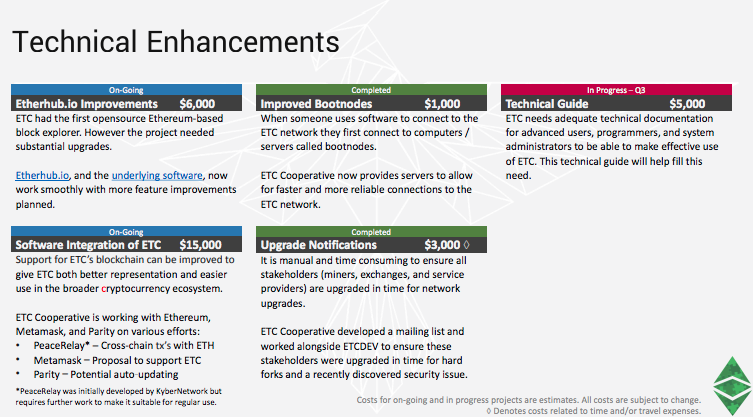 ETC Cooperative now plans to release biannual reviews of their work every 6 months and they have just released the first one that shows an overview of their work from January to June this year. The fields in which they have brought advancements to over the past 6 months are three-fold. For technical enhancements, they have provided the end-user tools and whatever technical information is necessary to be able to use ETC. In community building, they have provided information and resources needed by the members. They have also reached out to other cryptocurrency communities in an attempt to expand ETC’s reach. It has been reported that Ethereum Classic has seen substantial growth in the community and a great inflow of intent among people. Their rate of subscribers on their subreddit has grown by 70%, from 12,000 to 20,500 subscribers. 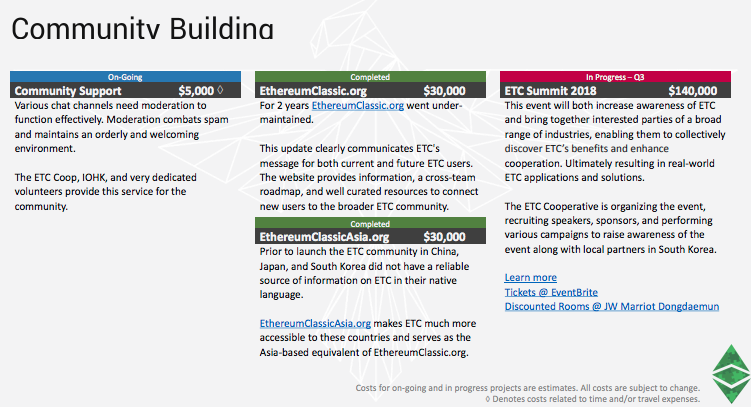 Their @etc_classic Twitter account to have grown to over 60%, from 125,000 followers to 200,000. The average transactions too have more than doubled from 17,000 to 47,000 per day. The report also mentioned that alongside these advancements, there are parts of ETC that were not maintained as well. The points below are taken from their report. Only one reliable block explorer existed. Coordinating upgrades with miners and exchanges was difficult. 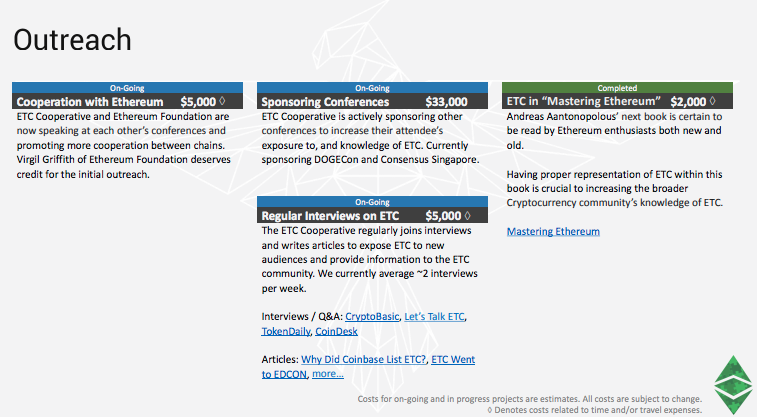 The main ETC website [ethereumclassic.org] was outdated. The international community was underserved. ETC was largely seen as separate to the broader Ethereum community. The report also provides a financial summary from January to July 2018. As far as their plans for the remaining 6 months of the year are concerned, they intend to continue all the on-going projects and complete the ones in progress. They are looking to ramp up marketing and communications by raising the outreach of ETC and awareness of its value. They also hope to work with a wide range of industries, including those who are interested in using ETC’s blockchain. They are aiming to expand their role as a coordinator of the teams in ETC and get more staff to get more projects in motion.